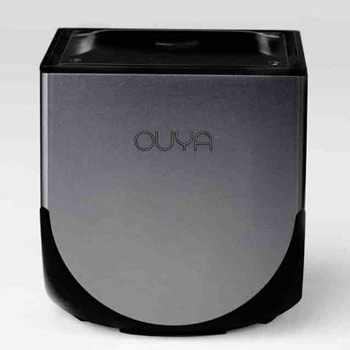 Ouya founder Julie Uhrman confirms that her company is working on its second Android-based console. When the Ouya's Kickstarter campaign was launched in July, thousands of people, including myself, immediately started forking over their hard earned cash. The promise of an inexpensive console that had the potential to hijack the videogame industry was appealing. Unfortunately, the Ouya hasn't been quite as revolutionary as its developers would have liked, but this little system isn't ready to fade into history just yet. Even before the Ouya was released, Julie Uhrman, the company's founder, was discussing plans to roll out annual hardware updates. So, the fact that she's already talking about the Ouya 2 shouldn't surprise anyone. Today, in an interview with Polygon, Uhrman confirmed that her team is still planning to release it's second-generation console in 2014. "Our plan is to have Ouya 2.0 sometime next year, we haven't finalized the date of that," she said. "We're still determining what exactly we want that to be." "Ouya is a very different product," she explained. "We're not a traditional gaming company that comes out every six or seven years with a new console. We made it very clear that we're going to have a yearly refresh on the product, that we're going to continue to improve the performance, leveraging components that are on the market. We may never be first to market with those. We want to make sure we come to market when it justifies being on a different chip or higher performing chip." Even though the Ouya hasn't found its footing just yet, the little console still has the potential to be an important part of gaming's future. It probably won't be able to compete with the Xbox One or the PlayStation 4, but maybe the Ouya 2.0 will be a step in the right direction.